WASHINGTON, DC, July 19, 2018—C2 Technologies, Inc. (C2) announced today the award of U.S. Air Force’s C-17 Training Systems contract as part of the Boeing Global Services Team. 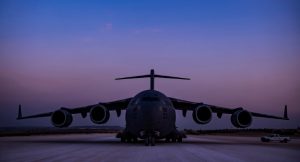 The overall value of the 6.5-year contract is up to $986 million to “operate, sustain, modify and upgrade” the USAF’s C-17 Globemaster III aircrew and maintenance training systems at 14 air bases nationwide. C2’s Aviation Support Services Group provides training and courseware services for six other aircraft weapons systems, including the B-1, B-52, A-10, EC-130, E-8, and CH-47. C2 Technologies, headquartered in Vienna, Virginia, is a company dedicated to bringing innovative technologies, solutions, and services to enhance performance for mission-critical organizations. C2 Technologies is an internationally recognized leader in interactive courseware development, modeling and simulation, educational and training technologies, AI, augmented and virtual reality applications, mobile applications, games, social media analysis, cybersecurity, data analytics, and human capital IT and consulting.